Irvine Scientific have announced the introduction of BalanCD® HEK293 System. The system includes a highly versatile series of chemically-defined media designed to increase productivity in a range of applications, rapidly delivering high yields of viral vectors and recombinant proteins. BalanCD HEK293 System is fully scalable, and supports small to industrial scale batch sizes. Utilizing human embryonic kidney (HEK293) cells, the system supports applications including viral vector production for gene therapy, transient gene expression and recombinant protein production in suspension-adapted HEK293 cells. 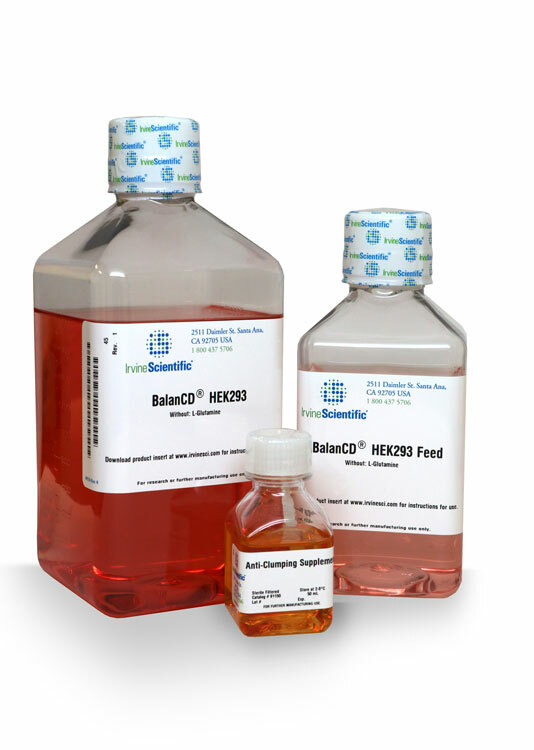 Central to the new system’s versatility, scalability, and process efficiency is BalanCD HEK293, a bi-functional medium that supports both growth and transfection in multiple 293 cell lines, which means that there is no need to change media before and after transfection. This is complemented by BalanCD HEK293 Feed, designed to support high density cell growth to maximize production of recombinant proteins. Anti-Clumping Supplement further increases productivity by preventing the natural tendency of HEK293 to aggregate, thereby improving growth. To save time and cost in downstream processing, and to help meet regulatory requirements, BalanCD HEK293 growth and feed media are chemically-defined and animal component-free. Anti-Clumping Supplement is animal-component-free and enzyme-free. All products are manufactured in state-of-the-art cGMP facilities using strict raw material controls. To further facilitate regulatory compliance, Drug Master Files have been filed with the US FDA.